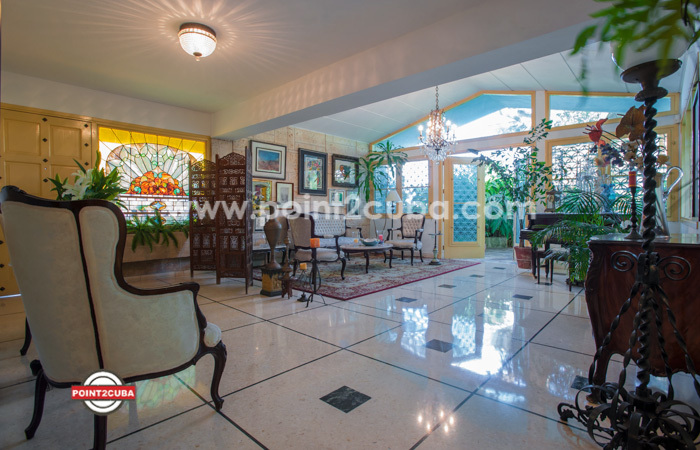 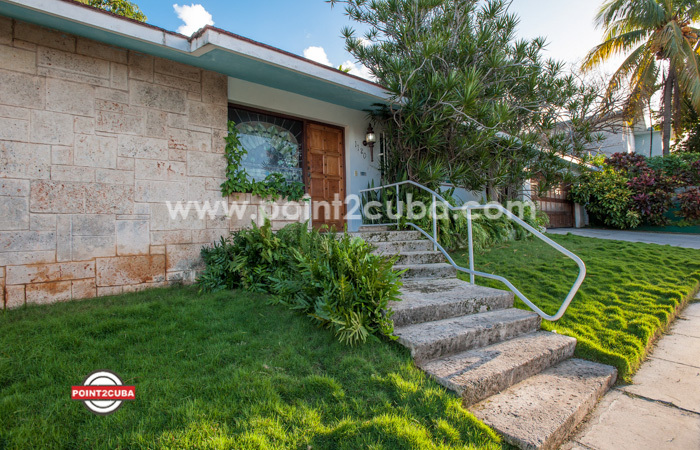 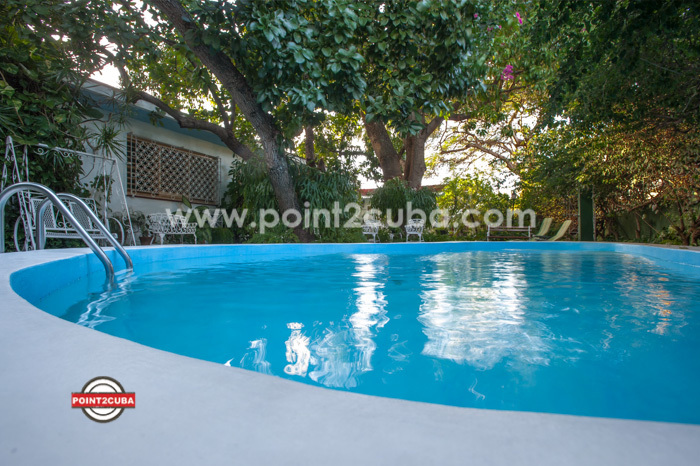 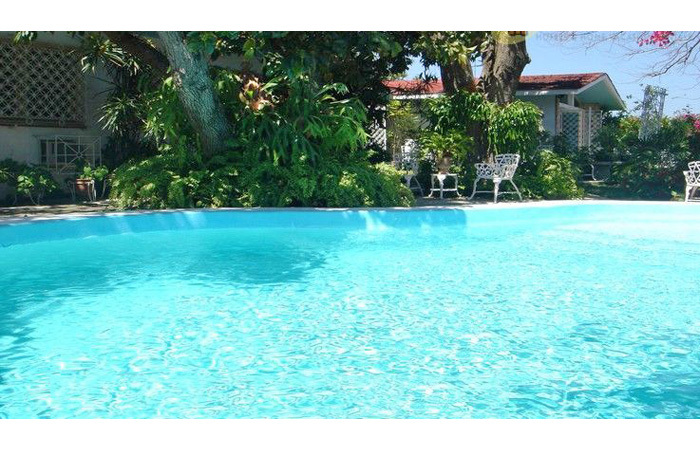 Luxurious villa with swimming pool in Nuevo Vedado, one of the most exclusive neighborhoods in Havana. 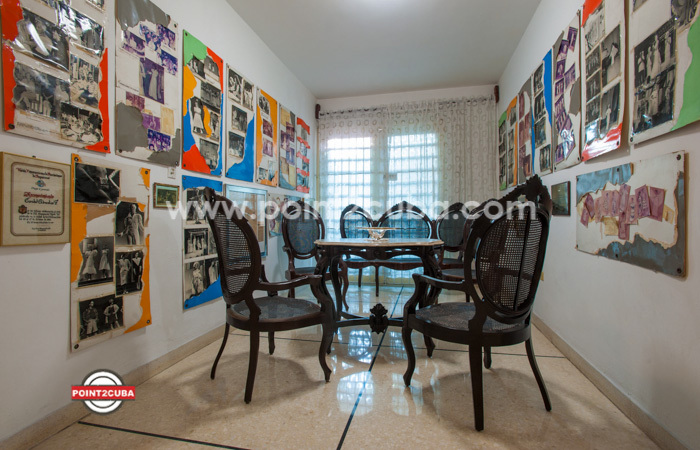 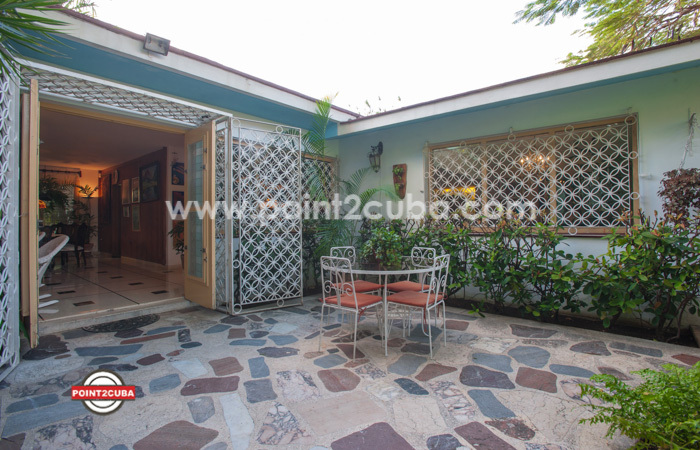 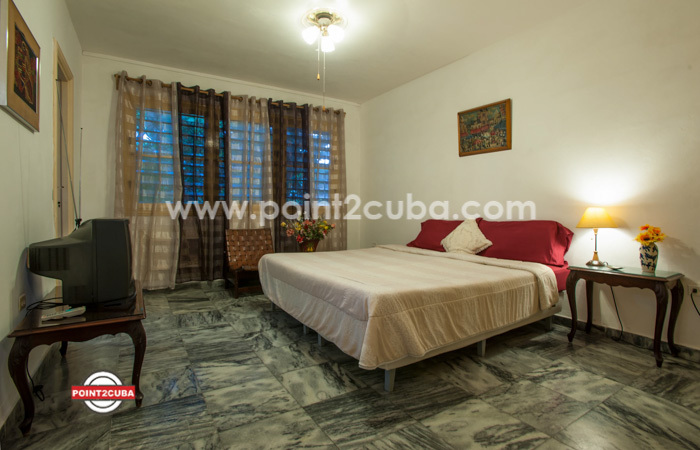 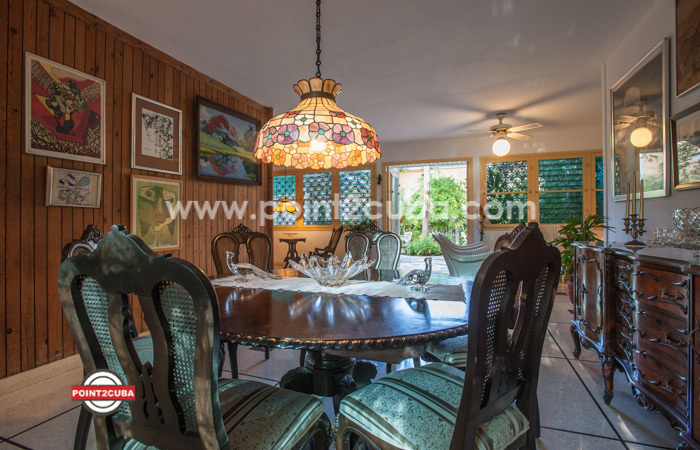 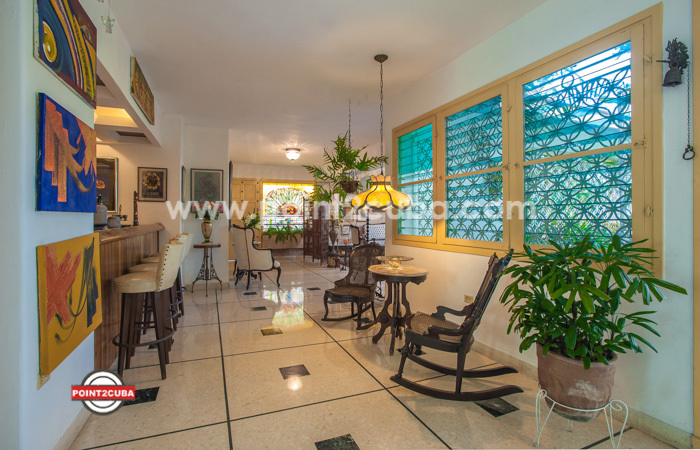 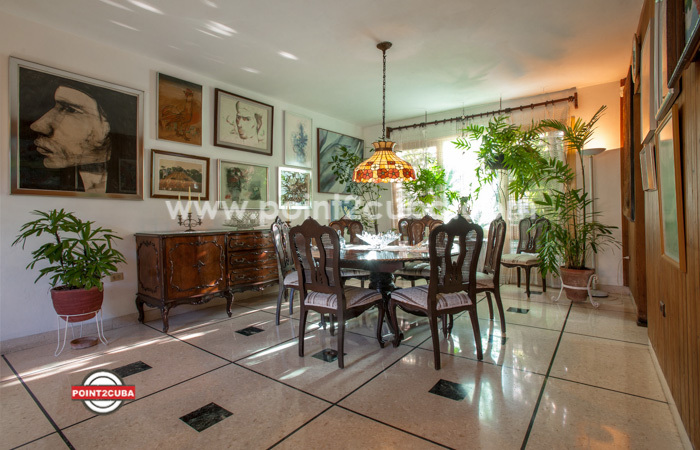 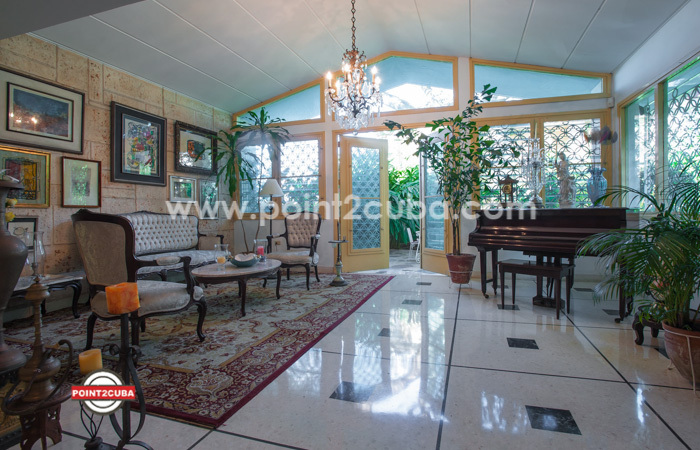 This villa stands out for its spacious halls and its decoration with paintings of important Cuban painters. 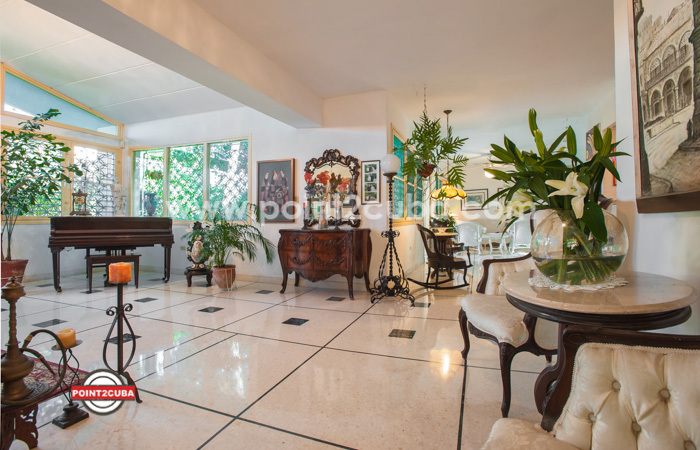 The terrace is big and it’s surrounded by trees and flowers. 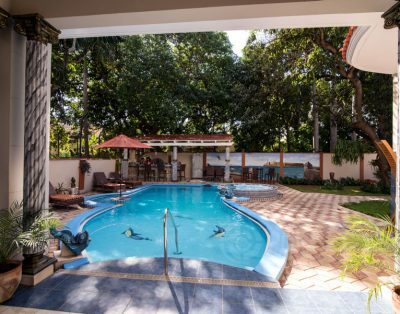 The swimming pool is at the bottom of the terrace. 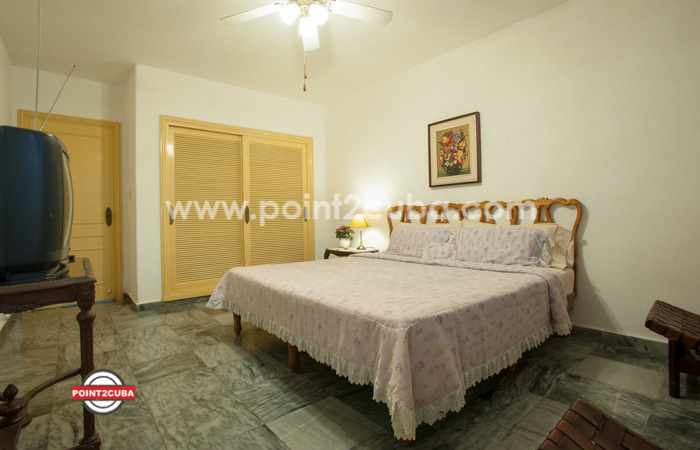 The rooms are large and have king size beds and good comfort. 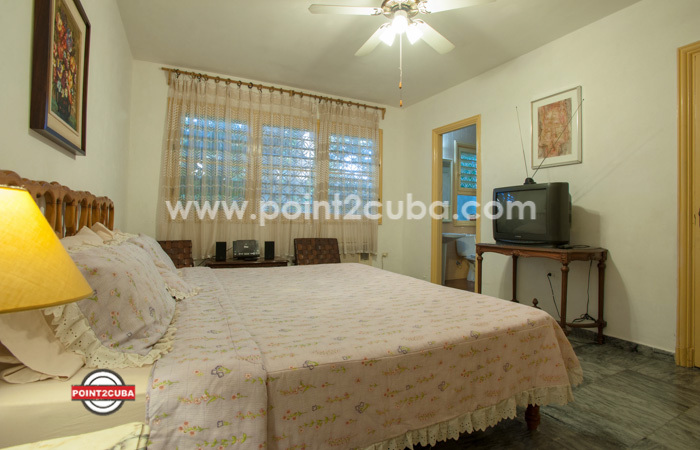 The security is assured the 24 hours and the house has a professional staff formed by a cook and a waitress. 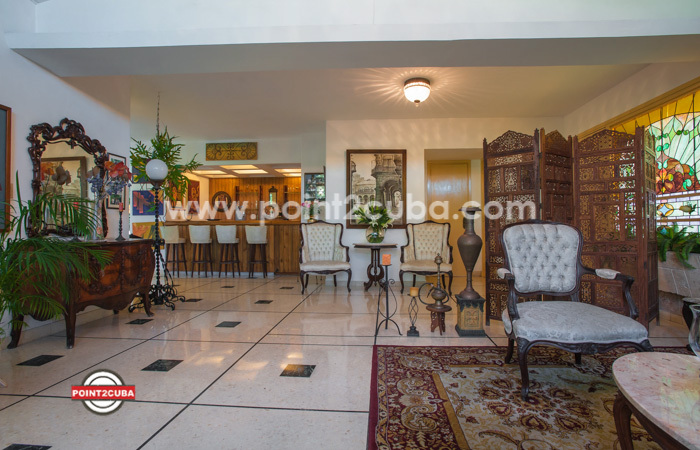 The decoration chosen it gives the house the elegance searched by many for their stay in Cuba. 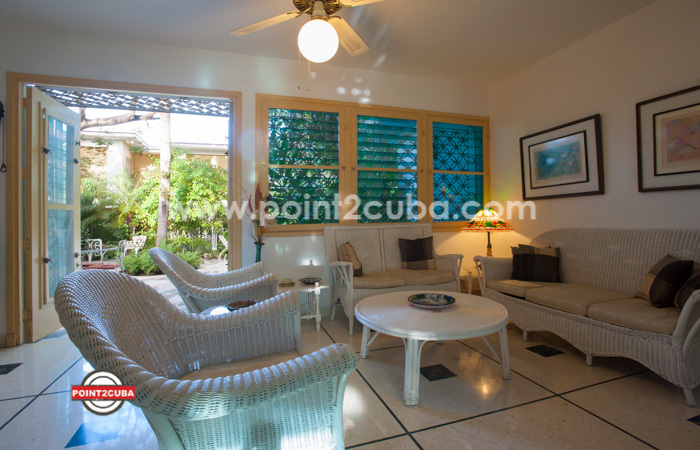 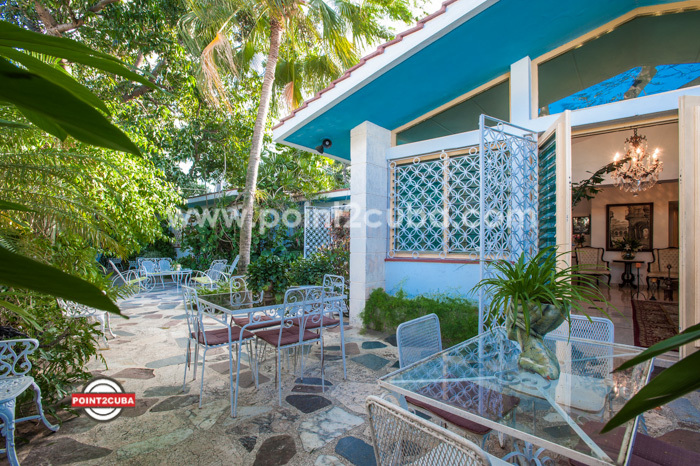 The Villa has 3 air-conditioned rooms available with 2 baths, 1 living room, a dining room, a bar, a garden and outdoor patio with swimming pool. 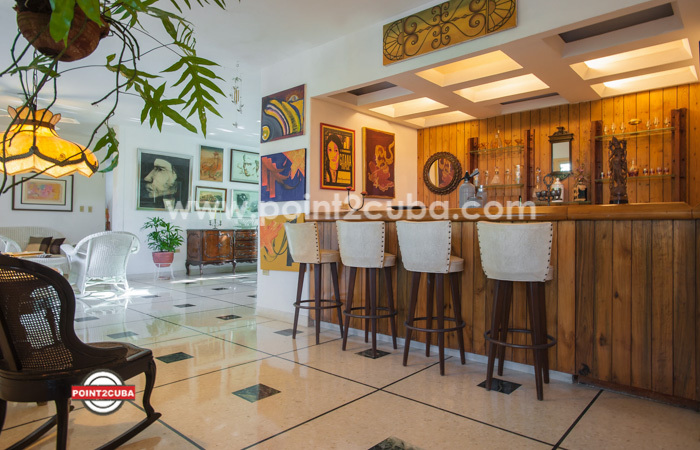 The location is perfect: A short distance away, you will find museums, the Financial Area, luxury shops, theater, art and much more. 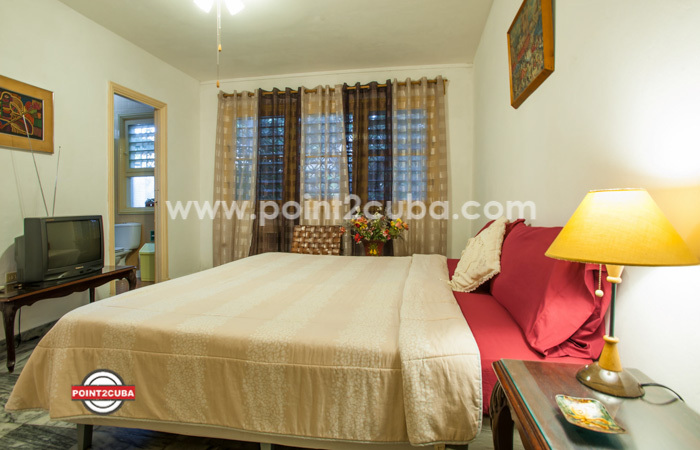 Luxury is present in all the forms: palpable art, colors of the country, lots of light, descending gardens, and the joy of having lots of individual space in an accommodation that keeps it small, private and extremely personal. 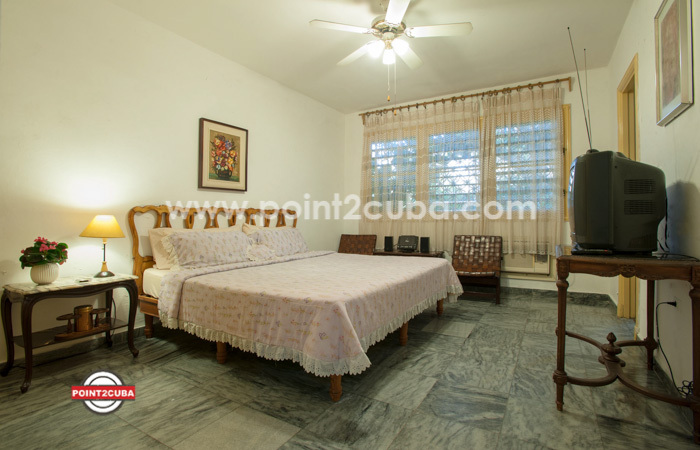 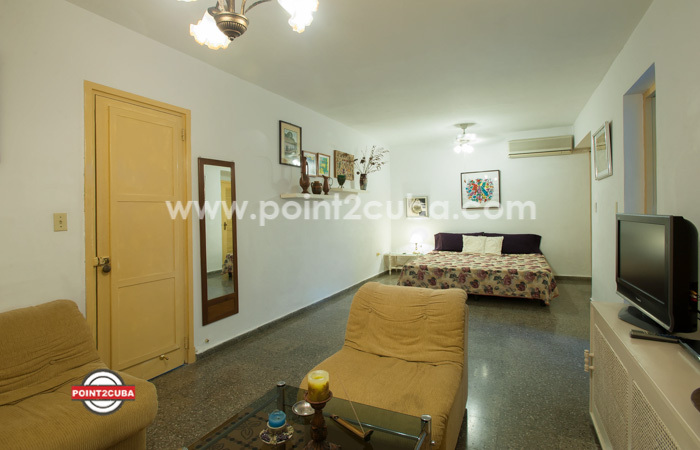 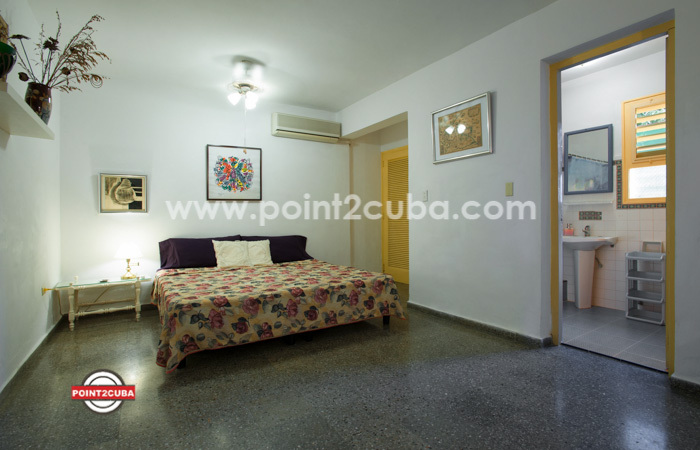 The House Manager will assist you to live Havana as you never imagined. 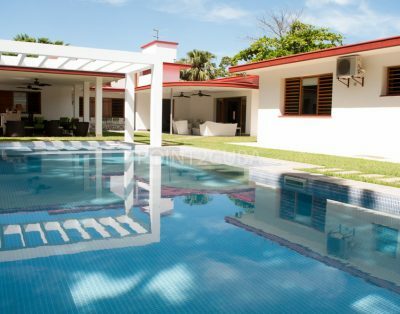 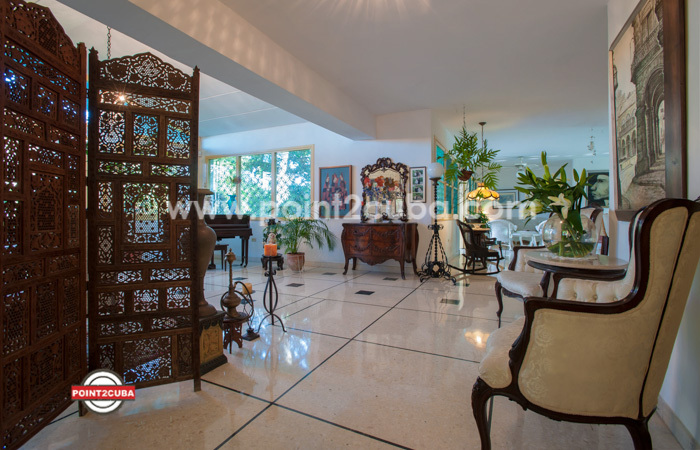 Set in an exclusive, gated community on Nuevo Vedado, this spacious Villa is 9 minutes from old town.